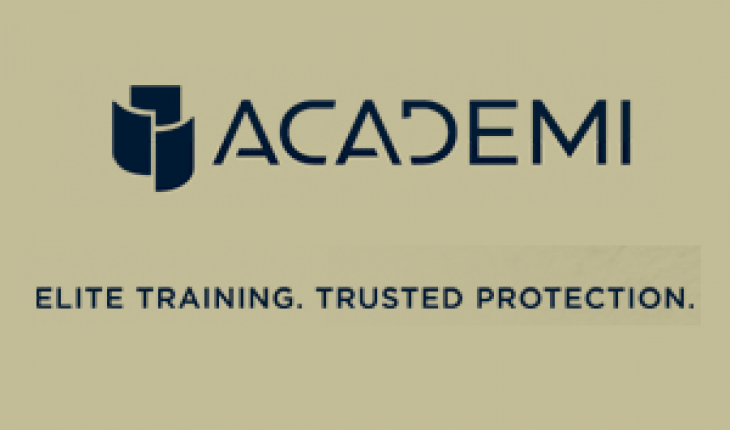 ACADEMI is the current name of the privately-held training and security solutions provider previously branded as Blackwater, Blackwater Worldwide, and Xe. The company was originally founded in 1997 and serves both commercial and government interests world-wide. Originally founded to provide a training facility for local and regional law enforcement personnel, the organization has expanded to now provide risk assessment, security, and training solutions in both stable and very austere locations across the globe. Areas of specialty range from self-defense, to urban assault, and VIP protection. A common question that arises amongst current and former active duty military members is figuring out how to apply for ACADEMI security jobs. company throughout the life of the company since its founding in 1997 by Al Clark and Erik Prince. At the time of this writing, ACADEMI continues to be the largest of the United States State Department private security contactors seeing significant growth during the latest Iraq War. As the company expanded operations, ACADEMI opened a research and development wing/division which has been responsible for the development of the Grizzly APC and other military technologies. On March 2nd, 2009, Erik Prince resigned as CEO of the company but remained as chairman of the board (no longer involved in day-day operations). Joseph Yorio was then named as president and CEO. In 2009 Prince relinquished his involvement in the day-day business and some of his ownership rights. Later in 2010 he would move to Abu Dhabi, UA and startup another security service company called Reflex Responses. Boby Ray Inman, former head of the NSA and CIA executive, was appointed has the head of the company’s board of directors. In May of that year, Ted Wright was named CEO and would go on to hire a new governance chief for oversight of ethical and legal compliance within the company. In December of 2011, the company would change its name from Xe to ACADEMI to reflect a more boring image (it refers to Plato’s Academy). What Type of Work Does ACADEMI Do? 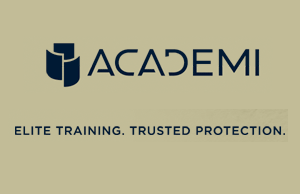 ACADEMI performs operations across the security spectrum to include assessments, training, and protection. The company provides career opportunities in a large variety of professional areas hiring technical experts from the private sector in addition to former U.S. law enforcement and military personnel. Unlike other private military companies, ACADEMI performs extensive background checks into work history and proof of adherence to accountability and professionalism standards expected within the industry. Approximately 95% of the current employees of the company are veterans of the military and law enforcement today. What Types of Services Does ACADEMI Offer? ACADEMI continues to focus on providing contract services in their core fields of assessment, training, and protection. Formerly known as the United States Training Center (previously branded the Blackwater Training Center), the complex provides weapons and tactics training to law enforcement agencies, government, and the military. There are a number of open-enrollment courses available throughout the year to include precision rifle marksmanship, hand-to-hand combat, and both tactical and off-road driving. The training facility is located in northeastern North Carolina on more than 7,000 acres. The facility includes a number of ranges, urban reproductions, a man-made lake, and a driving track. To augment the facility in North Carolina, the company acquired an 80 acre facility approximately 150 miles west of Chicago originally call Blackwater North, then the Impact Training Center, and now the Hollow Training Center. ACADEMI has provided maritime security training to the United States Navy since the attack on the USS Cole (DDG 67) occurred in Aden, Yemen in the late 1990s. Since that time, the company has provided tactical training for maritime force protection to a number of other organizations to include Greek Security forces in preparation for the 2004 Olympics, the Afghanistan Ministry of Interior, and Azerbaijan Naval Sea Commandos. The ACADEMI training facilities include a man-made lake that includes a number of stacked containers used to simulate the deck and hull of a merchant ship for use in maritime assault training. To provide an operational capability, ACADEMI purchased the ex-NOAA vessel, McArthur (183 ft/56m). The ship features full GMDSS communications, SEATEL broadband, helicopter decks, hospital and multiple vessel support capabilities, and dedicated command and control bays. The ship was originally built in 1966 by the Norfolk Shipbuilding and Drydock Company and was decommissioned by NOAA in 2003. ACADEMI home ports the ship in Norfolk, Virginia and has it outfitted for use in disaster assistance situations. ACADEMI security consulting has its origins from 9/11. It was one of the primary private security firms employed by the U.S. government during the Iraq War to guard installations, officials, provide Coalition Force support, and to train the new Iraqi police and armed forces. This expansion built on the successes the company experience from providing SEAL combat training and support services prior to 9/11. After the CIA requested additional contract security forces be hired to augment existing force structure, ACADEMI (Blackwater at the time) was one of the few companies in a position to expand and provide the services required by the U.S. government. After the war in Iraq commenced, the demand from the State Department for additional security staff to handle high-risk protection details significantly expanded. As a result, Blackwater obtained a significant amount of work to fill this critical need for DoS and has seen an exemplary record in the field for keeping principals from being killed. Today, the primary public contract for the company is from the United States State Department under the Bureau of Diplomatic Security’s Worldwide Personal Protective Services (WPPS) and WPPS II umbrella contracts. ACADEMI along with Triple Canopy, Inc. and DynCorp International fill the requirements from the State Department under this contract in the countries of Afghanistan, Bosnia, Iraq, and Israel. The two primary ways to apply for a job at ACADEMI are online or in person. In-person applications can typically be accomplished at one of the company locations or at a military job fair that ACADEMI holds or attends. Although you can send your resume and supporting documentation via the U.S. mail, the company does not highlight this as a preferred option on their website at the time of this writing. Step 1 – View the currently posted job openings that ACADEMI lists on the careers sub-portal of their website to see if you are qualified for any of the open positions. Just because you don’t see a specific job position posted doesn’t mean there won’t be an opening available; however, it could be some time before a more suitable job becomes available. Step 2 – Tailor your resume to match the job position you are applying for with the company (similar to how you would do so for any job application). Ensure you highlight your relevant military or police experience, combat experience, education, and training in the resume. If you have the resources to do so, have a human resources professional review the resume prior to using for your ACADEMI application. Step 3 – Collect your military and/or police qualifications and references. Ensure you have a minimum of one supervisor or commanding officer in your listing of references. The company will likely ask you for such if not included to start with. The company will ask that you upload all training certificates at the time of your job application so ensure you take the time to scan the documents into PDF prior to starting the application process. Step 4 – Scan a copy of your DD-214 (if you were active duty), college degree/transcripts (if you have one), driver’s license (must be valid for more than one year after the contract or deployment expiration), and tourist passport. Step 5 – Upload your resume, supporting documentation, and answer all relevant questions on the ACADEMI job application form. The company will ask if you have worked for other security contractors as well as any high-threat job experience. Ensure you do not take the civilian tact of “doubling” your real-world experience, as the company will quickly sniff out those who lie about combat experience once hired! Step 6 – If you do not hear anything back from the company in the short-term, ensure you follow-up in person or via phone as soon as practicable. Step 7 – If the company determines you may be suitable to fill the job you are applying for, be prepared to undergo a full medical evaluation and pass a physical fitness test before solidifying the new job. Even the savviest of security contractors can fall out of shape when deployed to austere regions of the world for months at a time so make sure you are ready! Step 8 – If you are a U.S. citizen and will be taking a contract or assignment overseas, ensure you ask the human resources department about the tax break U.S. citizens receive for working abroad. This can help make the money you will see from ACADEMI go even further when back home after finishing the initial contract or year of work for the company.